The latest, Indian’s brutal violence echoed in the Indian-held Kashmir. A massive uprising has occurred against the use of pellet guns, murders, mysterious disappearance, false encounter and other human rights violations by Indian army stationed in Kashmir. Use of the pellet guns has brought the Kashmir issue into the focus of international community and human rights activist as hundreds of the innocent people were severely injured by Indian forces to contain uprising against Burhan Wani’s martyrdom. The irony of the situation is that UN human right body has remained silent on India’s brutal acts. Additionally, Kashmir dispute has shadowed the bilateral relations as both nuclear neighbors are engaged in unresolved territorial conflict since independence. Indo-Pak relations have severely deteriorated in the wake of terrorist activities and cross-border firing. Since early 2016, terrorism is the key element influencing the relations of both states such as scheduled foreign secretaries level talks has been suspended soon after the terrorist attack at Pathankot airbase. Tension arose to extreme level after Urri attack and India’s claim about surgical strikes. The biggest setback to bilateral relations is that India without doing any investigation, puts the blame on Pakistan. However, on 6th January 2017, Pakistan handed over a dossier to new UN Secretary-General containing proofs of RAW involvement in terrorist activities in Pakistan. According to evidence, India and its intelligence agency is engaged in destabilizing Pakistan and involved in Karachi and Baluchistan unrest. But actually, India is trying to portray itself as the victim of state-sponsored terrorism, such dynamics presents that Modi government is trying to portray the negative image of Pakistan in the international community and not for peace in the region. In this regard, India must reciprocate responsibly, as tension between two nuclear neighbours can bring the region on the brink of the nuclear clash. Cross-border firing at LOC has added more bitterness in indo-Pak relations. Since 2003, India-Pakistan has maintained ceasefire agreement. During 2014-16, high profile ceasefire violations reported comprising the massive exchange of fire across the border. India- Pakistan border clashes have also played the significant role to collapse the peace talks among both states. Several troops and civilians of both states have been killed during the heavy exchange of fire. Both sides alleged that other side had opened the fire first. Data analysis presents a significant number of ceasefire violations till October 2015, whereas during winters no violations has been reported. This factor clearly explains ceasefire violations politics as it could be India’s tactic to justify their stance that Pakistan infiltrates terrorists in Indian territory and Pakistan tries hard to sneak before winters otherwise heavy snowfall will make it impossible for it to cross the LOC. India alleged that Pakistan infiltrates terrorists into Indian territory; however, Pakistan itself is a victim of terrorism. Many military operations have been launched by Pakistan’s army to counter militancy and maintain security and peace. So labelling Pakistan as the terrorist state could not be justified reason for massive firing on LOC. 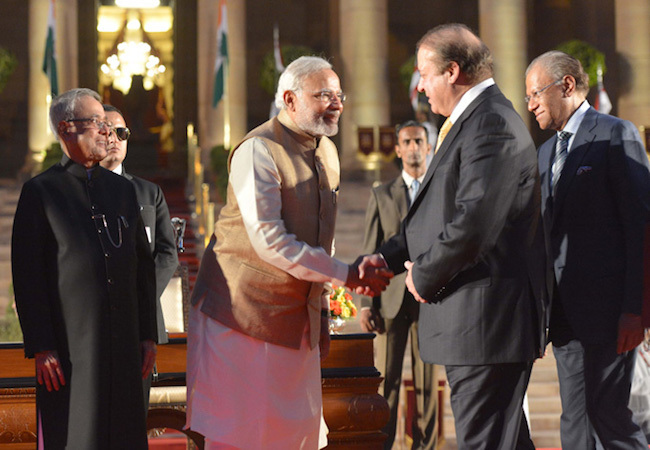 Dynamics of instability plays a central role to make Indo-Pak ties unpredictable. Some of the pragmatic factors such as Kashmir conflict, violations of the ceasefire agreement, India’s intervention in Karachi and Baluchistan and water issue has remained the main bone of contention. It is unfortunate that Pakistan’s offer of bilateral talks is considered as Pakistan’s weakness and India kept on perusing its anti-Pakistan policy. Therefore, Pakistan’s liable response and efforts have played the significant role to maintain the conducive peaceful atmosphere in the region. Territorial disputes, cross-border firing, terrorism and India’s violation of Indus water treaty and illegal contractions on Chenab and Neelum rivers has articulated the strategic culture of hostility and increased the sense of insecurity and uncertainty between India and Pakistan. Normalization of indo-Pak relations lies in the peaceful resolution of conflicts. In this regard, lack of trust and political understanding are the key factors that have influence bilateral ties. Critical nature of disputes needs the specific attention at the bilateral, regional and global level. Need for the hour is instead of portraying itself as the victim, Indian political and armed forces should stop employing tactics to peruse its anti-Pakistan policy and utilize every opportunity that can explore the chances of positive bilateral relations. The only way forward is constructive approach from both sides to resolve the conflicts as Pakistan cannot work alone. So, collective positive efforts is only mechanism to bring the region to new heights of peace and security.